Last night's post has caused something of a stir on Twitter. I had a feeling it would. That sort of qusi-Spiked-online class warfare shtick always gets the hits in. It's easy to write, it couldn't be less original yet that is what people seem to like. It's analysis by cliche. This is actually why I hate my readers. Leave and remain. The more sophisticated and in depth articles tend to go ignored especially if they bring certainties into ambiguity for either side. There is nothing cut and dry about the Brexit debate and it is fraught with intractable dilemmas and in the end you just have to go with your gut instinct. I am not at all convinced by the economic arguments for Brexit and even though I could do without the hassle, I am still, at my core convinced it is the right thing to do. Sadly though, I am only noted for the occasional trolly clickbait posts I write which are sadly necessary to bring in new readers. In this case I am accused of turning Brexit into a class war issue. 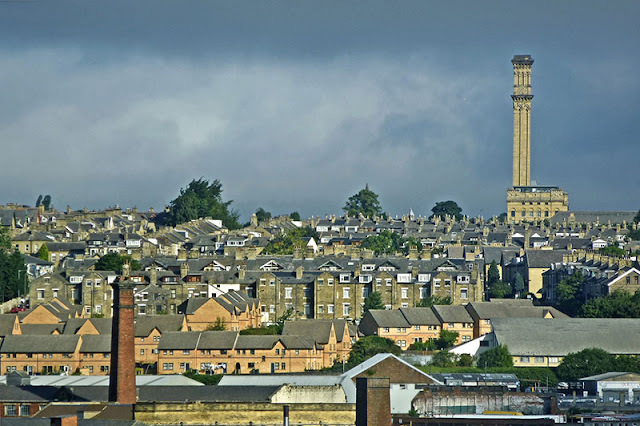 One commenter remarks that "I find it hard to believe that Pete knows anything about what the kid in Bradford with a pay as you go phone thinks" - thus do not have the necessary working class credentials to comment. As it happens I am from Bradford and didn't own a contract phone until I was twenty six but lived through a time when class was less relevant. I never thought of myself as working class but I'm not exactly a denizen of leafy suburbia either. Both the BBC and Channel 4 shot their poverty safaris documentaries within fifty yards of my house. But being that I am not a collectivist and not especially a social animal I arrived at my own set of values and fumbled my way from there. Class is pretty meaningless to me. I have no class at all - as many of my readers will confirm. I do, though, think I am qualified enough to empathise with the working class being that I am from Bradford and wasted much of my youth in its city centre pubs. The people I still make time for are from that era. I certainly have a better grip of working class life than a Guardian hack who's not seen beyond Zone 4 since the early nineties. The blurring of class through the Blair era has certainly made social commentary a lot less precise but working class is one of those things where you know it when you see it. More recently, I saw it on a coach holiday touring the beaches of Normandy, which is about as working class bloke as you can get. There was more than a subtle hint of Brexit aboard that coach. Proper middle class folk would go in a Volvo with a roof rack. (There I go with the stereotypes again). But if there is a class narrative to Brexit then it is the overall collapse of social mobility where those once blurred lines are once again becoming more distinct. Remainers would have it that it is absolutely nothing at all to do with the EU and everything to do with Tory austerity. I think it is all intertwined and not so easy to diagnose. Firstly you have to ask why class perceptions began to blur. Certainly the housing boom had an effect which allowed ordinary people to acquire assets where generally working class people who managed to get a low interest mortgage with zero deposit and a Mondeo on hire purchase began to see themselves as socially mobile. This was growth built on a foundation of sand. A consequence of cheap money, a bloated state sector with generous pensions and perks, massive government spending, cheap Chinese imports and easily obtainable debt. Everybody knew in their heart of hearts knew it was unsustainable and they knew that what goes up must come down. What we're left with is a country counting the cost with a generation frozen out of the property market, poor savings rates, a growing pensions black hole (storing up massive generational inequality for the future), stagnant wages, insecure labour and to a point, scapegoated foreign workers. Here the left wing narrative has it that the Tories could fix all this by ending austerity and turning the tap back on even though we haven't fixed the fundamentals from last time while we spend some £48bn a year on servicing debt. Our spending commitments were unsustainable in 2008 and they are unsustainable now. We need radical structural reform but the left will not allow it. They will cry like babies. At the forefront of this is the welfare argument. The Waitrose Whingers now wailing to remain in the EU have latched on to all of the other soft left concerns - the cult of the NHS and naturally will wail that if only we didn't have this beastly Brexit we could keep firehosing the plebs with the welfare they need instead of these howwid Tories "punishing the poor". These are people who clearly never have any contact with working class people, most of whom are proud to say they have never claimed welfare, would rather work and they resent that their taxes go toward sustaining the feckless lifestyles of a welfare underclass. The left will, of course, say they are brainwashed by "right wing media". Doubtlessly the issue of welfare dependency and idleness is overblown but by the same token so are the edge cases exploited by the left. It is an inevitability that any welfare system will have egregious failures whoever is in office and they will exploit it to the max. Central to it, though, is a clash of values. Here I stand on the right with the view that a job, any job, is the fastest route out of poverty not least because it puts you in a better position to find better work. This is contrasted with the left who argue that work doesn't pay and the answer is to introduce yet more perverse incentives not to work. they then wonder why landlords charge £600 a month for a damp shed in in a Birmingham suburb (been there done that). Coincidentally it happens to be what the local council will pay in housing benefits. This does not make me anti-welfare but my years in Bradford have shown me the ugly side of welfarism and where there is poverty it is chiefly a poverty of ambition and belief that work does not make you any better off so why even try? The result? A prozac munching youth made more susceptible to socially contagious destructive ideas. The latest fad being transgenderism. And what do we do about this? We pander to it. GPs hand out antidepressants like candy instead of remarking that their patients should go to bed earlier, get some exercise, stop smoking weed, lay off the computer games and stop eating crap. The left, though, will make any number of excuses for them. We then find that we have men and women in their late twenties and thirties with a poor work record, squandering their potential, living in a subsistence life in exactly the sort of shitholes the Guardian sends John Harris to for his Louis Theroux adventures into the post-industrial north. They then give each other awards for their social consciousness. Of course, if we had a Conservative party with a backbone we would be seeing far braver policy making than we presently see but it finds itself held hostage by a generally left leaning class of metropolitan media types who generally buy into the statist paradigm that the hapless northern serfs need generous state handouts. Snobbery masquerading as right-on social awareness. I am of the view that the very worst thing you can do to a person is tell them that they are a victim. Self-pity is a the most potent drug. Most people have it within their power to sort themselves out if forced by circumstances to do so. Instead "depression" is a fast track to a doctor's note and subsidised housing where they are then left to rot. It keeps them off the unemployment statistics - so too did Blair's expansion of the university system. Youth employment then pays for itself. What we then have is an class of entitled whingers with no actual marketable skills and no relevant qualifications who then sit back and wonder why jobs that they would in other times be doing are being hoovered up by ambitious Polish go-getters. Contrary to stereotype, Poles are now taking the top jobs as well as making our Starbucks sludge. If now one goes into any city centre dental hospital you will find the practitioners are either eastern European or Indian while the admin staff are the white working class girls. We are told we need more immigration to sustain the NHS, robbing the rest of Europe of its professional class, all the while working class people are increasingly born to a system that writes them off and will never have access to the sort of education and training it takes to become a health professional. This, again, we are told is the result of "austerity" but this was every bit as true in 2007 before "austerity" was even a thing. Culturally there is a malfunction and it has a lot to do with a certain inbuilt sense of entitlement and the belief we should be automatically as well off as the previous generation. This malfunction is not so easily corrected. If it were as simple as simply turning the money tap back on then we would have seen some kind of improvement during the Blair era. What improvements we saw were only skin deep and certainly not lasting, not least because of the proliferation of non-degree degrees leading to qualification inflation and yet more Taylorism in the job market. Between that and a smattering of EU directives, fluidity in the labour market has been destroyed depriving young people of choice and opportunities for experience. Chiefly we are looking at systemic decay and when I see the litany of fraud cases in the aftermath of the Grenfell Tower disaster, we get an insight into the soul of modern welfarism. Not just benefit claimants put also public sector officials with their hands in the till. Thus far we have not touched on the EU dimension in all this. Most would say that none of this is anything at all to do with the EU. Superficially that is right. The EU has no direct say in our health, education and welfare and it is not responsible for the spending decisions of New Labour. The EU influence, however, is still profound. Here I would not say the EU is a cause of our dysfunction, rather it is a symptom of it which in turn creates its own feedback loop. As Westminster has offloaded increasingly more of its governance responsibilities to Brussels, instead of labour laws being a result of a democratic discourse between the public, industry and their government, they are defined primarily by the EU and designed with a view to creating European wide social constructs to the integrationist agenda. Not least the Agency Workers Directive and the dog's dinner Posted Workers Directive. Notwithstanding Mrs Thatchers union busting laws, unions have generally become a passive part of the machine lobbying at the EU level for laws to bypass national governments and have gone native. Between the Maastricht social chapter and subsequent regulatory interventions and ECJ rulings, we are no longer able to define labour policies in any meaningful sense. We can only gold plate that which we are instructed to implement. This has in recent years created a working culture where workers are all too aware of their workplace rights and the means by which they can bleed their employers, but not so hot on their contractual obligations. This is what has caused large employers to either automate, offshore or insulate themselves from the rules by hiring contractors. The working equilibrium that existed prior to 1996 has been destroyed. The dialogue between employer and employee is dead. Instead of an active dialogue between parties involving unions with vitality and guts, everything is now looked at through the prism of entitlement under EU law. Protections that were not necessary, not asked for, and in the end, massively counter productive. But as usual, the EU is judged by its intentions rather than actual outcomes. This is why the remoaner bunch on the march tap into the generic left wing sentiment that the Tories want Brexit so they can "slash regulations and workplace rights". If only the Tories would. They don't have the guts. The result would be a more fluid job market affording young people more opportunities to learn, flexibility and agility. But that's not what the left want. They are powerless without a victim class to patronise. Meanwhile the EU's peripheral influence is not insubstantial. Obligations to outsource under services liberalisation rules and directives governing the structure of utilities markets have had their own effect. It has massively changed the culture of local government, corporatising it and bureaucratising it, and through a series of policy targets and quotas dictates much of its spending - which is increasingly immune to any kind of democratic pushback. We've forgotten what democracy even looks like. This then leaves the question of what remedy Brexit will bring. I actually think that is a partly redundant question. For sure if we remain in the EEA then much of the same rules will apply and insofar as many of my complaints are concerned it will be as though we never left the EU. I just recognise there are certain trade offs, many of which are disappointing, but likely would be enacted through global treaties anyway. Not least the WTO Agreement on Government Procurement. It is more of a redundant question though, when you ask what will happen if we don't leave the EU. And that is the crux of it. At best nothing at all will happen. The political deadlock will see to that, and at worst we see a further ossification of the EU influence in our systems of government which underpin the decline. Brexit, on the other hand, forces a lot of the issues and brings into question the sustainability of numerous approaches to government and will force certain cuts and rationalisations that would otherwise prove politically impossible. Here we will see a resurgence of social enterprise, previously destroyed by the Blair administration as it appropriated the third sector for its own ends, eliminating much of their real world activity to turn them into full time grant chasers. It could very well see a restoration of the voluntary ethos that underpins community. Something many feel we have lost in the last two decades contributing to an epidemic of loneliness and isolation in the elderly. Ultimately I saw much merit in David Cameron's Big Society, which of itself was a worthy conservative vision defeated by hamfisted attempt to sell it to a media that didn't understand it. I argue that it is possible but not without major structural reform and certainly not without leaving the EU. It certainly can't happen unless we do. We see from the left in its crusade against food banks how it hates the idea of social enterprise and how it thinks the state should be the cradle to grave provider. The culmination of that Blairite mentality is pretty much what we have now. A dilapidated social care sector that didn't function even when it was well funded, bureaucratised and increasingly unaffordable childcare and schools whose literacy rates would not rival mud shack schools in Uganda - which evidently churn out more doctors than we do. The march against democracy in London last week, reeking of middle class privilege, is of that ilk who essentially believe that democracy cannot be trusted and that in order to safeguard rights and standards we need the EU. The people themselves are not capable of fighting their own corner. It is a fundamental mistrust of the values of Britain and the belief that without the imposition of "progressive" EU measures we shall revert to savagery and Victorian era exploitation. I utterly hate that mentality and if it was going to work then it would have worked by now. All we Brexiters are saying is give democracy a chance. It can't do any worse. Additional: If the Guardian has the nerve to ask for donations for the crap they produce then so do I. Please give if you can.